Just a year after the release of their eponymous debut album, Circles returned in 1984 with their sophomore album, More Circles. Again, Circles had put their impressive of array of technology and traditional instruments to good use on More Circles. It features the coming of age of Circles. They were at their most inventive and innovative. Circles combine everything from ambient and avant-garde to electronica, experimental and free jazz to Krautrock, psychedelia and rock. There’s even hints of Eastern music as Circles take the listener on a musical adventure. During that adventure, Circles draw inspiration from, and pay homage to Krautrock royalty. This includes everyone from Amon Düül II, Can, Cluster, Kluster, Neu! and Harmonia. Other influences include Michael Rother, Irmin Schmidt and Holger Czukay. They all seem to inspire Circles. So do do Fripp and Eno. The result was a second genre classic, that failed to find the audience it deserved. 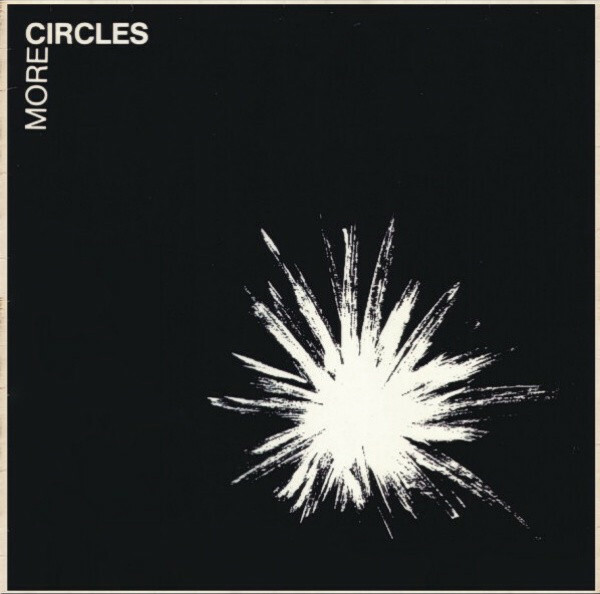 More Circles features more groundbreaking music from two musical pioneers, Circles. This was the start of a lifetime making music together. Circles started as they meant to go on, creating music that was ambitious, innovative, inventive and went on to influence further generation of musicians. Circles also played a part in the reinvention of German music in the post Krautrock era. However, More Circles, which was reissued by the Mental Experience label, an imprint of Guerssen Record, showed that there was life after Krautrock. 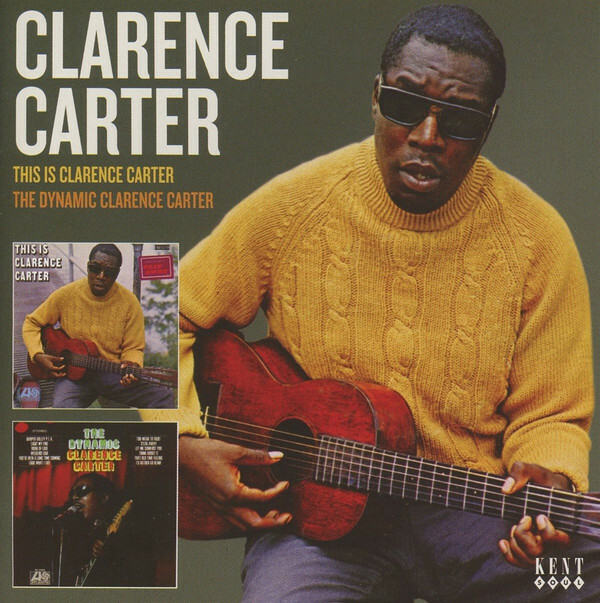 Clarence Carter-This Is Clarence Carter and The Dynamic Clarence Carter. The Clarence Carter story is one of triumph over adversity. Shortly after his birth, doctors discovered that Clarence Carter was blind. Despite this, Clarence Carter forged a successful career as a soul singer. He signed to Fame Records in 1966, and soon, Rick Hall was transforming Clarence Carter’s career. By 1968, Clarence Carter had released five hit singles, including Funky Fever which was certified gold. After the success of Funky Fever, Rill Hall’s thoughts turned to Clarence Carter’s debut album. Later in 1968, This Is Clarence Carter was released. It had been well received by critics, but stalled at forty-nine in the US R&B charts. The followup, The Dynamic Clarence Carter reached twenty-two in the US R&B charts and featured the hit single Snatching It Back. With a voice that could breath meaning and emotion into lyrics, Clarence Carter was on a roll, and thanks to Rick Hall, was well on his way to becoming one of the stars of Southern Soul. Right up until 1970, it seemed that Clarence Carter could do wrong. Rick Hall had transformed the career of Clarence Carter on This Is Clarence Carter and The Dynamic Clarence Carter. They were reissued on one disc by Kent Soul, an imprint of Ace Records. These two albums are a tantalising taste of Clarence Carter, who triumphed over adversity to become one of the stars of Southern Soul during the late sixties. With the new wave of psychedelic rock unfolding before their eyes, Elektra Records decided to sign some of the genre’s most promising acts. Soon, San Francisco’s based The Doors had signed to Elektra Records. So too, were Los Angeles’ based Love. They were joined in 1967 by another L.A. based Clear Light. This was quite a feat, as they had only been together since early 1966. 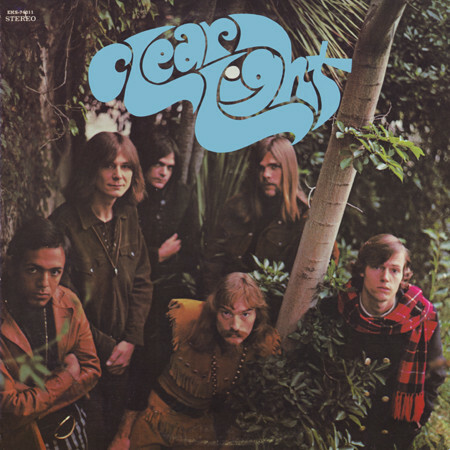 Despite this, when Clear Light released their eponymous debut album Clear Light later in 1967, it was hailed a psychedelic classic. However, the story was over almost before it had begun. Sadly, Clear Light only ever released the one album. However, Clear Light is a psychedelic classic. It showcases a talented and versatile band that could’ve and should’ve reached greater heights. Clear Light were certainly not lacking in talent. Sadly, just over two years after Michael Ney first met Robbie Robinson, the adventure was over. A lot had happened since then. The lineup changed several times. So had the name. Managers had come and gone, and Clear Light had recorded a stonewall psychedelic classic. Sadly, Clear Light is one of music’s best kept secrets, and is only appreciated by a discerning few musical connoisseurs, who have discovered this psychedelic classic. Maybe Big Beat Records, an imprint of Ace Records, 2016 expanded reissue of Clear Light, will bring this classic album to the attention of a wider audience? 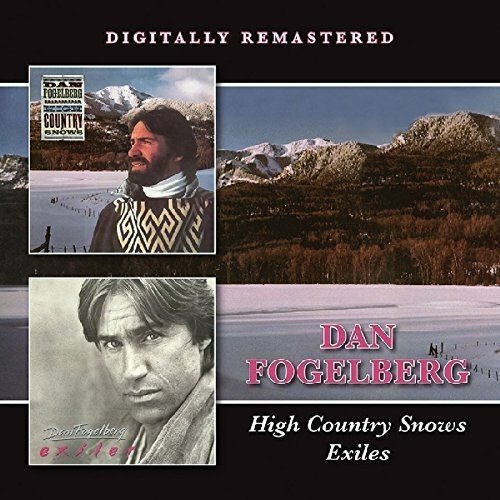 Dan Fogelberg-High Country Snow and Exiles. By the time Dan Fogelberg released High Country Snow in 1985, he had released eight albums which had sold 10.5 million copies. Despite this, Dan Fogelberg decided to change direction and record a county album, High Country Snow. This was a huge risk. However, it paid off. When High Country Snows was released in 1995 it was to critical acclaim. Critics were surprised by the change in direction, but backed by a tight, talented band recorded what was a seminal newgrass album. It sold over 500,000 and was certified gold. Despite the success of High Country Snows, Dan returned to his “old” sound on his tenth album Exiles. It’s a fusion of AOR and soft rock where beautiful ballads rub shoulders with the occasional vocal powerhouse on Exiles. Critics were won over by Exiles, which received positive reviews. However, Exiles stalled at forty-eight in the US Billboard 200. For Dan Fogelberg, it was the one that got away. Thirty-one years later, High Country Snow and Exiles were reissued by BGO Records on one CD. They show two different sides to Dan Fogelberg. There’s the newgrass on High Country Snow and the AOR of Exiles. Both albums have one thing in common…quality. They’re the perfect introduction to Dan Fogelberg, a hugely talented and much missed singer-songwriter. 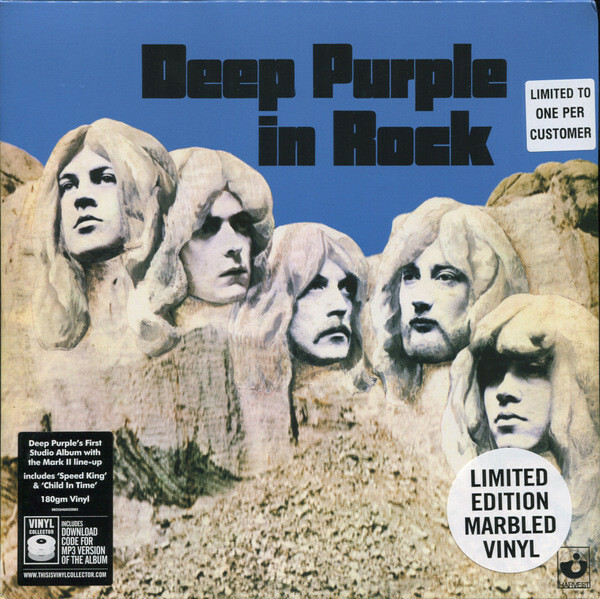 Deep Purple-Deep Purple In Rock-Vinyl. Between 1970 and 1975 Deep Purple enjoyed worldwide success. Their albums sold by the million and Deep Purple became one of “unholy trinity of British hard rock and heavy metal.” However, the album that started this run of commercial success was Deep Purple In Rock. It was reissued as a limited edition of 1,000 on marbled vinyl by Harvest as part of their Vinyl Collector series. Deep Purple In Rock was a game-changer for Deep Purple. When Deep Purple In Rock in 1970 was released in 1970, it proved to be Deep Purple’s breakthrough album. This was the start of five years of commercial success and critical acclaim. During that period, Deep Purple challenged Led Zeppelin and Black Sabbath for supremacy as most successful and hard rocking band. There was also another competition going on. This was to see which of the “unholy trinity of British hard rock and heavy metal” was the hardest living band. It was a close fought and hard won contest. Over the years, Deep Purple’s penchant for the rock ’n’ roll lifestyle was legendary. It came with the territory. This was after all, rock ’n’ roll during the early seventies. Chaos and carnage was omnipresent and expected as Deep Purple toured the world. This never seemed to affect Deep Purple’s music. Proof if any is needed, is Deep Purple In Rock. It features Deep Purple at their hard rocking best. 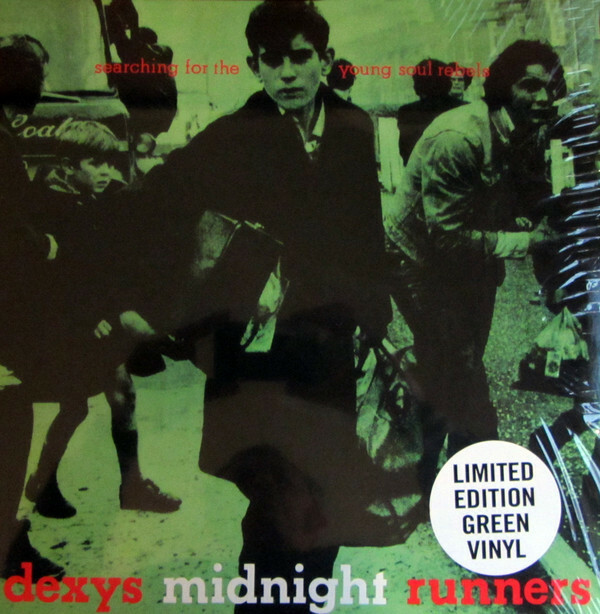 Dexy’s Midnight Runners-Searching For The Young Soul Rebels-Vinyl. Last year, retailers everywhere seemed to be jumping on the vinyl bandwagon. Even supermarkets like Tesco were selling vinyl. However, being experts at marketing, the vinyl they sold had a USP. This included Dexy’s Midnight Runners-Searching For The Young Soul Rebels, which was a limited editions pressed on green vinyl. It marked the debut of Dexy’s Midnight Runners who were led by Kevin Rowland. He founded Dexy’s Midnight Runners in Birmingham 1978. Within two years, they were signed to EMI and preparing to release their debut album Searching For The Young Soul Rebels in July 1980. It was a fusion of blue eyed soul, Celtic soul, folk, new wave and pop. The influence of punk and Northern Soul could also be heard on Searching For The Young Soul Rebels. However, before its release, Geno was released as a single and topped the UK charts. For Dexy’s Midnight Runners’ this was a game-changer. When Searching For The Young Soul Rebels was released, most of the reviews were positive. There was the odd dissenting voice. Despite this, Searching For The Young Soul Rebels, reached number six in the UK and was certified silver. Since then, many regard Searching For The Young Soul Rebels as Dexy’s Midnight Runners’ finest hour. No wonder. Searching For The Young Soul Rebels is regarded as one of the greatest debut albums of the eighties, and was a time capsule of Britain in 1980. Nowadays, Dieter Moebius is regarded as a pioneer of the Krautrock era. He co-founded Kluster, Cluster and Harmonia, and then went on release a series of collaborative albums. Still, though, he found time to enjoy a release a series of solo album. However, between 1999 and 2014 Dieter Moebius concentrated on his solo albums. This included his sophomore album Blotch which was reissued by Bureau B. On Blotch, Dieter worked on a series of playful mesmeric loop based tracks. They’re atmospheric and experimental, with Dieter adding bursts of speech to the musical canvas. He combines everything from ambient and avant-garde, through to electronica and experimental sits side-by-side with industrial, Krautrock and musique concrète. The result was an album that was very different to different to Dieter’s debut album, Tonspuren. Gone was the minimalist, ambient and sometimes, experimental sound of Tonspuren It was replaced by music that was atmospheric, dramatic, futuristic and sometimes, ethereal, understated and beautiful. Always, though, Blotch is captivating. It’s a case of expect the unexpected, as Dieter Moebius bowls a series of curveballs. As he does, the music is always cinematic and mostly, hypnotic. Just like so much of the music Dieter had released, the music on Blotch was captivating, innovative, timeless and went on to influence further generations of musicians. 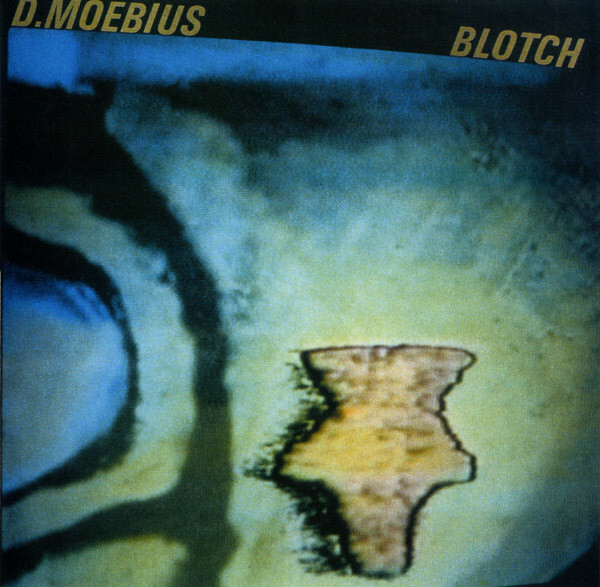 Blotch marked the return of the comeback King Dieter Moebius, sixteen years after he released his debut album, Tonspuren. 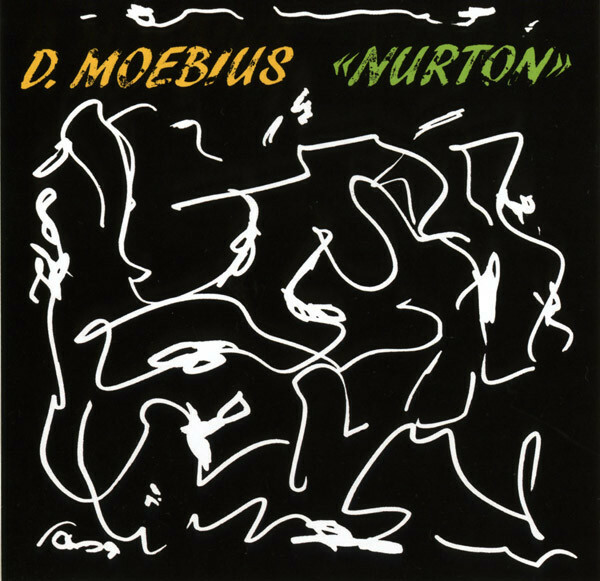 Seven years after releasing his sophomore album, Blotch Dieter Moebius returned with his third album Nurton, which was reissued by Bureau B. It’s another genre-melting track from Dieter Moebius. He fused elements of ambient, avant-garde, Berlin School, electronica, industrial, Krautrock and musique concrète. There’s even a hint of African percussion on Born Neo. Along with these other disparate influences they play their part in what’s the most ambitious and experimental album of Dieter Moebius’ solo career, Nurton. Dieter Moebius set out to push musical boundaries on Nurdon. He was like an artist, except that the tape was his canvas. However, Dieter had a much richer and vibrant palette available. Using his trusty trio of synths, loops and a myriad of left field and sci-fi sounds, Dieter got to work. Just like he had throughout his career, he turned his back on musical convention and structure. Instead, he let his imagination run riot. His studio became a laboratory, where Dieter experimented. Often, he unleashed an arsenal of sounds which punctuate the arrangement. They result in music that’s often futuristic, cinematic and hypnotic album. That’s not all. The music on Nurdon veers between moody and broody, to dark and dramatic, to ethereal and elegiac to understated and beautiful. Always, Nurton sounds futuristic, cinematic and hypnotic. It’s like the soundtrack to a sci-fi film. Nurton is also one of the most ambitious, experimental and innovative albums of Dieter Moebius’ solo career. Emerson, Lake and Palmer-Brain Salad Surgery-Deluxe Edition. When Emerson, Lake and Palmer recorded their fourth album, Brain Salad Surgery, the trio were determined to record an album that they could replicate live. That hadn’t been the case with their three previous albums. They were complex albums which the trio found difficult to recreate live. Something had to change. 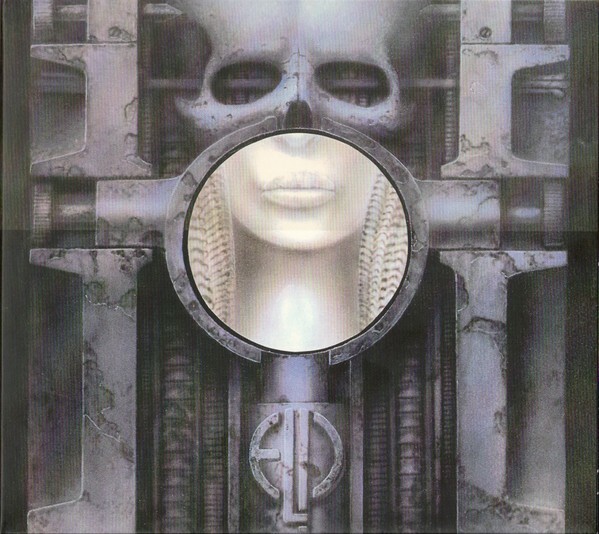 So, Brain Salad Surgery, which was rereleased by BMG as, marked the start of a new era for Emerson, Lake and Palmer as the fused progressive rock, jazz and classical music. Brain Salad Surgery was a window into the inventive and innovative world of Emerson, Lake and Palmer. During Brain Salad Surgery, Emerson, Lake and Palmer take the tracks in a variety of directions. Sometimes, Emerson, Lake and Palmer bowl a series of curveballs. You never foresaw what follows. Mind you, that’s what one had come to expect from one of the most groundbreaking groups of the seventies. A reminder of this is Brain Salad Surgery, which features Emerson, Lake and Palmer are at their most inventive and innovative. It was as if everything had been building up to Brain Salad Surgery. By the time Emerson, Lake and Palmer released Brain Salad Surgery they were a tight, visionary band. Their fusion of progressive rock, jazz and classical music resulted in an ambitious, powerhouse of an album, Brain Salad Surgery which features Emerson, Lake and Palmer were at the peak of their creative powers. Emerson, Lake and Palmer-Tarkus-Deluxe Edition. It was a case of striking when the iron was hot for Emerson, Lake and Palmer. They returned to Advision Studios, in London to record what became their sophomore album Tarkus. It was much more of a “band” album. Emerson, Lake and Palmer were now a tight, musical unit. This was very different from Emerson, Lake and Palmer, which was more like an album of solo pieces. Tarkus saw the birth of Emerson, Lake and Palmer as one of the giants of progressive rock. 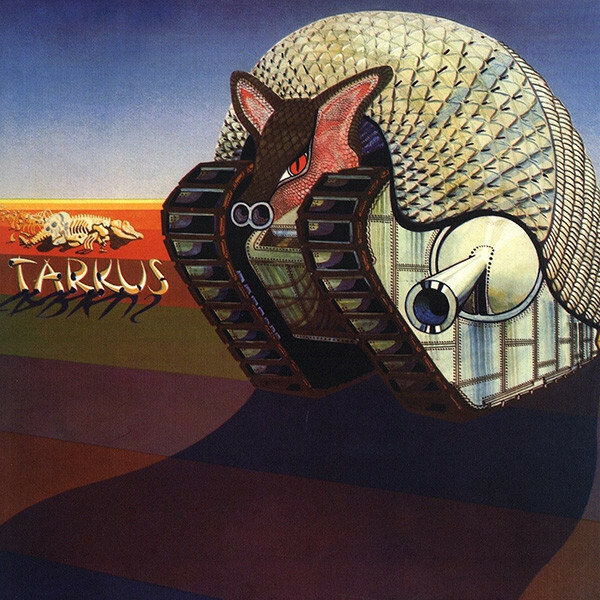 Tarkus was released to critical acclaim in June 1971.Critics realised that Tarkus marked a much more united Emerson, Lake and Palmer. They were well on the way to finding their trademark sound. Gone were ballads and jazz-tinged tracks. Instead, it was progressive rock all the way. Record buyers were won over by Tarkus. It reached number one in the UK. Over the Atlantic, Tarkus reached number nine in the US Billboard 200 and was certified gold. Emerson, Lake and Palmer had released the best, and most successful album of their nascent career. Last year, Tarkus was reissued by BMG a two disc set. Disc two features The Alternate Album. For fans of Emerson, Lake and Palmer, this will be a welcome addition to the reissue of Tarkus. It’s still regarded as was one of the most ambitious, cohesive and innovative albums, from Emerson, Lake and Palmer. ← THE BEST REISSUES OF 2016-PART 3.